SEES, is a private limited company founded in 2015 with offices at New Delhi and Hyderabad, with a singular aim of making meetings effective™. We are passionate about using our expertise and experience across sectors and years, in building engaging brand stories that integrate Live Communications via B2B and B2C experiences for your product, idea or campaign. Our LIVE Events solutions rests on the twin principles of meeting design and EventTech plus an Objective driven approach to solve your problems. With the Event Attendee at the core of our solutions and services, we bring strategic value to the Event Organizer, Meeting planner or Event Budget Owner, as the case be. We partner with Corporations, Associations, Governmental and Non-Governmental Organizations. SEES/hub is a pioneering concept in India, wherein we have exclusively partnered with best-in-class EventTech from around the World in creating a Toolbox of sorts, ready to be used as a combination or individually, to meet specific Objectives around your events. We use our competencies to not just enable but implement the same for Indian Experiential Marketers and Event Organizers including the wide meeting industry spectrum of Event Management Agencies, PCOs, Wedding Planners & MICE Organizers. 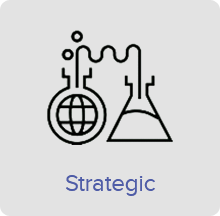 We built Strategy in our name as we believe in offering solutions that have an impact beyond the LIVE meetings & events lifespan. It moves forth your agenda in line with your bigger strategy. It also moves us! The World is changing at a pace faster than we can imagine. Gen Y and Z are leading this turnaround of the human race where strangely enough, it is connecting well, with where it started – experience based learning! Early humans had no teaching tools, methods or proven ways to learn new things. Yet, they learnt and some of those learnings have stood the test of time like no other! It was entirely based on experience. With a strong belief on the potent pre-historic ways of learning and with Technology permeating into our lives like never before, we provide Experience Design as a service to brands, where we go back to the earliest forms of learning and believing, piggy backing on Technology, in delivering a multi-ponged Design that tugs emotionally and stimulates the mind to take desired actions. Our Methodology includes asking the right Questions, understanding the customer journey, including research based insights, in producing a design that is personal, relevant, thought provoking, culturally nuanced and growth focussed. Our team lead by a member of the senior leadership works closely with our client team as a Single cohesive unit, collaborating, co-creating and innovating on the project journey. We are essentially Storytellers. Brand Storytelling is undergoing a renaissance in the 21st century with increasing social media invasion into consumers’ lives. Technology is driving this change from conventional ways to Stories that are more personal. A multi-sensory experience and use of other immersive Techs favourably build the User perception about your brand with real stories coming from real people that are much more personal, intimate and thought provoking. We act as a trusted advisor in techifying your brand campaigns and meetings & events. No hidden agenda, this is purely an advisory service wherein we help you select the right Technology solutions from across the World that best meet your needs and budgets, going beyond if desired, to equip your in-house teams to understand, close, plan and be delivery ready. Today, Live Communications is all about Attendee Engagement. Meeting Owners and Attendees alike are seeking more value for their time and money. Mere bodies in a Conference room doesn’t work anymore! The changing demographic of people attending meetings is the elephant in the room. As a result, people are interacting differently in a social setting. The bigger impacts of Technology on the human brain are the subject of many an ongoing Study. These changes surely are impacting on how we learn, how we behave and how we react. We are committed to bridge this gap for Events in India by sourcing best-in-class EventTech from across the Globe. With the Attendee at its heart, these solutions and/or products touch various aspects of a LIVE event, from planning to onsite and post. Onsite Badging, In-Room LIVE Polling & Q&A, Social Media Amplification, Music based Fun devices, Mobile Apps and much more. Explore our partnered Techs for your event by clicking on the SEES/hub icon above. Great Brand success stories are built on great teams. Old fashioned as it may seem, Team Building is still an essential element and LIVE Events offer a great opportunity to amplify the same. In line with our DNA to integrate Technology in our offering, we have introduced Tech infused Team building that connects and delivers desired results. New age Techs like geo-based triggers, Intra- and Inter-Team communications, integrated Augmented Reality features (AR), Gamified environment form the basis of our stand out offering here. The Technology world is moving and it is moving fast. It is touching more lives than ever with an increasing reach and affordability of devices, ISPs and infrastructure. We believe people learn better when they actually do things themselves. Based on this belief, we have co-created multiple solutions that build on new age Techs that on the face of it, may not have much to do with meetings, but help build engagement in innovative ways. We believe that Events contribute to the larger strategy and success of an enterprise. We are passionate about making the opportunity every event throws in getting people together, to yield better results for all the stakeholders - the Attendee, meeting planner and owner alike. Planning Events is a complex affair. It takes more than intent and budgets to make it happen! We rely on our vast experience of handling events from 50 to 15,000 people, from multi-day Conferences to a time-concentrated product launch, from internal stakeholder events like strategy roll-out, R&R, Team building Offsite to external stakeholder events like Customer events, Celebrations, Announcements, Press Conferences, Exhibition participations, Customer Awareness campaigns etc. We have an Objective driven approach. We rest our solutions on our understanding that begins with asking the right Questions that may include the extent of doing a joint workshop with the meeting owner. As a boutique agency, our key differentiator is Quality deliverance. We maintain a healthy capacity versus delivery ratio, and strive to continuously deliver on the promises to maintain a 100 % repeat clientele. Good Project Management is the key to a successful event. New age Communications tools, training and methodology form the basis of the same and we strive to make this period an enjoyable experience for our client(s). Onsite, we are as good as our Vendors! We have a network of preferred suppliers giving us the edge on better manpower, better rates and better overall quality and commitment to all our projects. 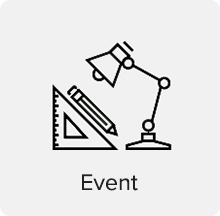 We have carefully curated a vertical within the company, dedicated only to Event Technology. These are best-in-class Event Techs covering a wide spectrum of solutions from across the globe, that we provide for all meetings & event owners and planners in the Indian markets. 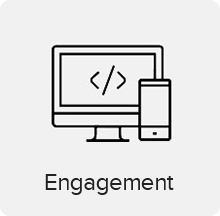 They add value to your events by enhancing the engagement, measuring the outcomes and monetizing the same, if needed. From hiring and managing casual staffing for large scale events to comprehensive Event Planning platforms that integrate Abstract management, Registration, Tickets buying and selling, payment gateways, program management to a cloud based solution for presentation management, our planning tools pack a punch! From integrating multi-platform LIVE social media to amplify your event’s # campaign, to state-of-the-art Event Apps on the most robust of platforms worldwide, to a super simple In-Room Audience Live polling and Q&A engagement using personal handheld devices, to beacon technology mapping wearables for behaviour analysis and the fastest on site badge printing solution integrating the latest facial recognition techs, our tool box is full of globally acknowledged and award winning best-in-class cool #EventTechs for all types of meeting and events. 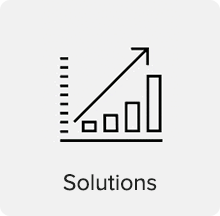 We understand your needs and match the best solutions to meet your objectives, delivering a full service model alongside for a hassle free implementation. Fun connects people! This is a universal phenomenon wherein better learning and networking happens around fun. We have in our offering, exclusive rights to innovative, fun devices that integrate music making you an instant DJ, a sound vibration sensing device that makes pretty much any object as a musical instrument and one that makes asking Questions quite a catchy affair! Just as an Architect builds, a Director visualizes & a Doctor observes, a Meeting designer brings to existence a better program, a better setting and a better experience for the attendee. Physical spaces contribute to how people act & react. We take cognizance of this fact and integrate the same in our design solutions that includes how we manage and play with a full sensory experience, that best leads to contributing in meeting your business objectives from that event. We are not Art connoisseurs or Artistes ourselves, but we understand the power of performing arts and music in moving people. Defying convention, we have produced events and included arts from theatre to dance to LIVE music and painting to convey the key messages! Being a people oriented company and working in the Industry where people to people connections matter the most, we have trained a group of individuals to deliver the promise that a designed meeting holds. In addition, we have in house expertise to moderate, steer and conduct our designed sessions. Border lining on being a full scale Technology company, we integrate a variety of designate #EventTech tools and curate custom solutions, to complete the meeting design. Our methodology @ work is Objective driven and solution led. We have developed in-house competencies that give our clients the flexibility to opt for a complete end-to-end implementation or getting trained by us for a DIY approach. As an Enterprise or a Solution provider in the Meetings & Events domain, we understand your need to be self-reliant, in the interest of controls, compliance, profit maximisation and Data security. Our solution here is focussed around maximising the impact and ROI of the Technology deployed at your event. We have within our folds, Tech Specialists who will train your in-house teams on the chosen Technology solution, and make them better equipped to plan and handle onsite possible situations, in line with your Objectives and needs. Technology can be expensive, even when it is not, we appreciate and applaud your vision to introduce something new in the normal, but a key component is a well trained team, that is better placed to bring forth desired results off your investment. Our Trainings are tailor made to your specifications aimed at coaching your team to juice out the best use of the EventTech deployed. Empower your team with confidence, learning about possible challenges and how to circumvent them. The advent of the Engagement Tech entering into the User held device has not killed the Wearables and Device market. On the contrary, in many cases, it guarantees a better adoption and success rate amongst Users. We provide for a Rentals service of solutions like iPADS, Tablets, Silent Disco Headsets, RF enabled Wearables, Beacons, and specific devices as CatchBox and Mash Machine across the country. One of the biggest constraints Companies have in the non-adoption of Technology is the change management. There are other challenges that come with it including fear of failure owing to non core-competency. Enter, SEES’ professional Tech Deployment Squad (TDS), a crew that is uniquely positioned to understand your needs, tailor make the product / solution at hand, and ensure end-to-end deployment including pre-event planning, strategy build for better adoption rate, ideas for higher onsite acceptance, and a complete peace of mind in terms of set-up, conduct and trouble shooting. Dealing with Technology requires Understanding, Competence and an expert Hand. We fulfil all our advised, partnered & built EventTechs and open to assignments for specific Attendee Engagement Techs, on request.